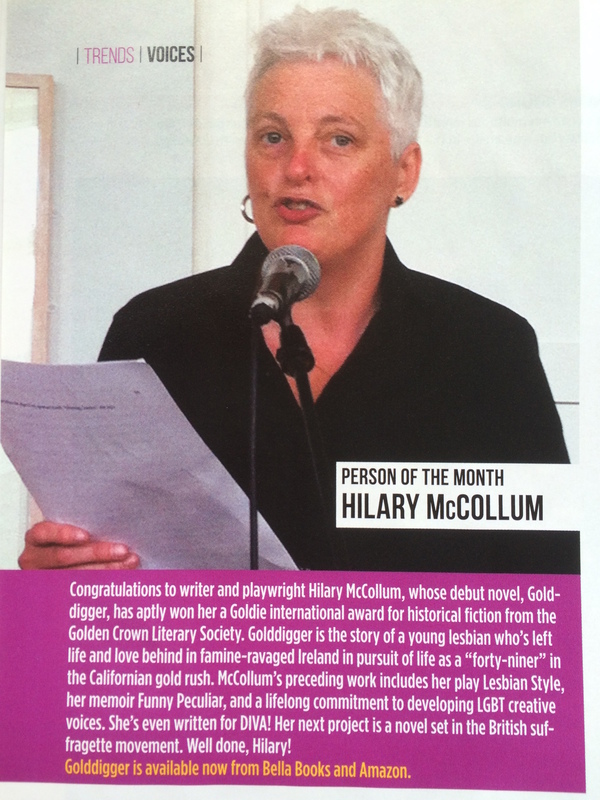 “Congratulations to writer and playwright Hilary McCollum, whose debut novel, Golddigger, has aptly won her a Goldie international award for historical fiction from the Golden Crown Literary Society. Golddigger is the story of a young lesbian who’s left life and love behind in famine-ravaged Ireland in pursuit of life as a “forty-niner” in the Californian gold rush. 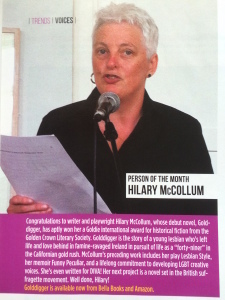 McCollum’s preceding work includes her play Lesbian Style, her memoir Funny Peculiar, and a lifelong commitment to developing LGBT creative voices. She’s even written for DIVA! Her next project is a novel set in the British suffragette movement. Well done, Hilary!